Very often we commit to doing something – a small task or a larger goal – but don’t make progress toward finishing it. The reason for this is simple – humans are naturally bad at setting goals. We tend to over-estimate how much we can do in the short-term, and under-estimate how much we can accomplish in the long-term. One of the best ways to become better at setting and achieving goals is to use the SMART Goal Setting Method. It is one of the most popular productivity techniques for setting goals and creating action items. In this article you will learn how the SMART method can help you become more productive. The most common trap for not achieving goals is to set goals that are too general. “I want to lose weight” is a popular goal which illustrate this mistake. These statements are too broad. And broad statements are difficult for our minds to turn into action (ie. the mind just doesn’t know how to start). So, the first step to creating a great goal is to make the goal Specific. When do I need it? When can I start? Which resources and limits are involved? The second step to making your goal successful is to make your goal measurable. Making your goal measurable gives you a sense of progress as you move towards your goal. A simple way to create a measurable goal is to think of the final outcome as though you are already there. How does it look? How does it feel? How is it different then the current reality? “I will loose belly fat because I want to look slimmer in the waist”. “I will lose 10lbs of belly fat by going to the gym 3 times a week, because I want to look slimmer in the waist”. The third step in creating a SMART goal is to check that your goal is achievable. It is admirable to create ambitious goals because they will stretch you to become your best. At the same time, you don’t want to aim so high that your goal becomes un-achieveable. Is this goal within my control? Do I know the potential limitations? Can I do it with the resources that I currently have? Will my current schedule allow me to allocate enough time to work on this goal? Once you answer these questions, it will be clearer if you should alter your goal or keep it as it is. Remember, if you set an achievable goal, you’re setting yourself up for success. if you set an un-achievable goal, however, you’re setting yourself up for failure. The fourth step to create a SMART goal is to check that your goal is relevant to your overall activity. This is a step where you question the “Why” you want to pursue the goal. This is also a place where we can get stuck in over-thinking. Is this goal aligned with my overall life / business missions? Will pursuing this goal contribute to other areas of my business / life? Will this goal create tension with other activities / goals? Will pursuing this goal keep us motivated / excited? Make sure you pursue goals that are relevant to your overall mission in life / business. The final step in making a SMART goal is to add a deadline to your goal. Deadlines are good for productivity. Jan Yager, in Work Less, Do More, explains concisely why. He says that deadlines help us because, in their absence, we don’t think of projects as being active. However, when a date is assigned to a task, it results in a commitment on our part. “I have to finish this by tomorrow” may sound stressful, but may result in you actually finishing it. So, lets see how our original goal transformed into a SMART goal. What is the Origin of SMART Goals? Most people believe that Peter Drucker is responsible for the acronym. However, he has never ever used it. He just invented a related concept known as management by objectives (MBO). Some people swear that it was Paul J. Meyer who used it first back in the 1960s. If it was, we have no printed evidence of this. As far as we know, Meyer used the acronym for the first time in a goal planning sheet from 1986. The earliest printed usage of the S. M. A. R. T. abbreviation can be dated back to a 1981 paper by George T. Doran. Unfortunately, if anything, his paper merely confirms that he is not the one to have invented it. Whoever it was, he did a pretty great job. It’s so good that it seems to belong to everybody. Since it’s not clear who came up with the SMART method, SMART has hundreds of different meanings attached to each of the letters. You can tweak some of the letters as you see fit – as long as it helps you to set clear and reachable objectives. 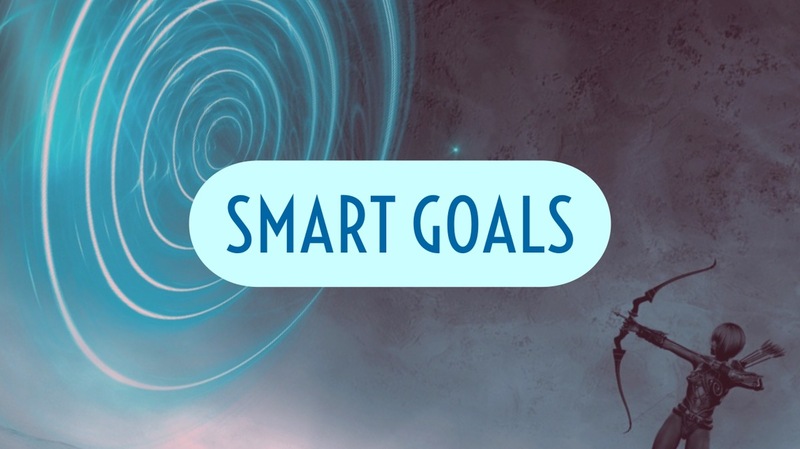 Did you try to create SMART goals?